January 15, 2016 – It was less than an hour into the new day of January 15, 2006 (EST), when tens of thousands of miles above our planet, two cable cutters and two retention bolts fired, releasing a spring which pushed a 101-pound (46-kilogram) sample return capsule away from its mother ship. Later, during its final plunge Earthward, the capsule would become the fastest human-made object to enter our atmosphere, achieving a velocity of about 28,600 mph (12.8 kilometers per second). Then, at 3:10 a.m. MST (5:10 a.m. EST), for the first time in seven years, the sample return capsule finally stopped moving. 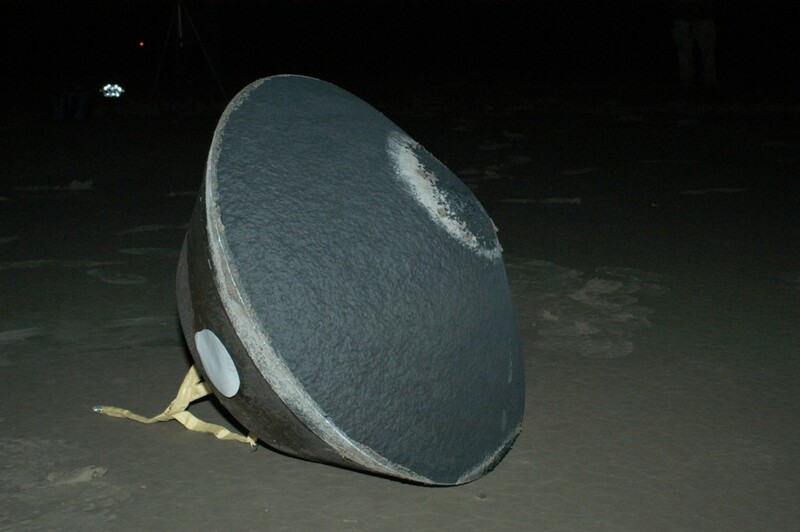 By the time it landed under parachute in the desert salt flats of the U.S. Air Force’s Utah Test and Training Range in Dugway, the capsule had travelled 2.88 billion miles (4.5 billion kilometers) — a journey that carried it around the sun three times and as far out as halfway to Jupiter. Inside the Stardust mission’s graphite-epoxy covered capsule was the objective of its prime mission — humanity’s first samples collected from a celestial body in deep space (beyond the Earth-moon system). The Stardust mission’s international team of scientists — 200 strong — helped re-write the book on comets and the evolution of the solar system. The Stardust mission samples indicated that some comets may have included materials ejected from the early sun and may have formed very differently than scientists had theorized. Comet ice formed in cold regions beyond the planet Neptune, but the rocks, probably the bulk of any comet’s mass, formed much closer to the sun in regions hot enough to evaporate bricks. The materials that Stardust collected from comet Wild-2 contain pre-solar “stardust” grains, identified on the basis of their unusual isotopic composition, but these grains are very rare. “Even though we confirmed comets are ancient bodies with an abundance of ice — some which formed a few tens of degrees above absolute zero at the edge of the solar system — we now know that comets are really a mix of materials made by conditions of both ‘fire and ice,'” said Brownlee. Lockheed Martin Space Systems was the industrial partner on the Stardust mission, having designed, built, integrated and tested the spacecraft at its facilities near Denver, Colorado. Lockheed Martin provided both launch support and capsule-return support, and controlled and operated the spacecraft, in cooperation with JPL, from the company’s Mission Support Area facilities near Denver, Colorado. 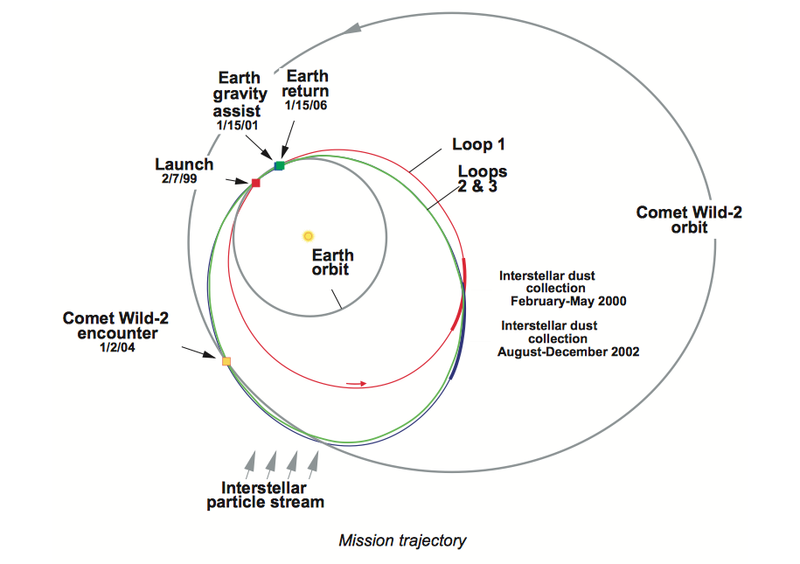 After the sample return, NASA re-tasked the spacecraft as Stardust-NExT to perform a bonus mission and fly past comet Tempel 1, which was struck by the Deep Impact mission in 2005. The mission collected images and other scientific data to compare with images of that comet collected by the Deep Impact mission in 2005. Stardust traveled approximately 21 million kilometers (13 million miles) around the sun in the weeks after the successful Tempel 1 flyby. The Stardust-NExT mission met all mission goals, and the spacecraft was extremely successful during both missions. From launch until final rocket engine burn, Stardust travelled approximately 5.69 billion kilometers (3.54 billion miles). While Stardust was the first deep-space sample-return mission, it was by no means the last. The Japanese Space Agency (JAXA’s) Hayabusa mission collected samples from an asteroid and returned them to Earth in 2010, and the Hayabusa 2 mission to return material from asteroid Ryugu is currently underway. Still to come is NASA’s OSIRIS-Rex mission, also built by Lockheed Martin. Scheduled to launch in September of this year, OSIRIS-REx will travel to the near-Earth asteroid Bennu and retrieve at least 2.1 ounces (60 grams) of surface material and return it to Earth for study. OSIRIS-REx will provide geologic context essential to expanding our understanding of the asteroid-comet continuum. The return to Earth of pristine samples with known geologic context will enable precise analyses that cannot be duplicated by spacecraft-based instruments. Pristine carbonaceous materials have never before been analyzed in laboratories on Earth. Samples will return to Earth in the year 2023.